Is the roof on your home or business slowly starting to bring down the aesthetic appeal of the rest of your structure? As roofs age, they can often start to fade and look worn, simply because they have spent so much time being overexposed to the elements. Custom Coating Restoration can combat this problem by offering Cool Roof Coating in addition to sealing, cleaning, and color restoration services in Mission Viejo, CA. It will change the look of your roof and make your home or business look better instantaneously. Outside of having Cool Roof Coating applied to your roof and sealing your roof properly, you should also make sure you have roof cleaning and high-pressure power washing done regularly. This will prevent dirt, mold, algae, debris, and more from building up on it and will make your roof look brand new again. While tile, metal and composite roofs are designed to last, their lifespan will be shortened if you don’t take the time to do the proper maintenance. One way to do this is by having tile, metal and composite roof coating and sealing done by Custom Coating Restoration. 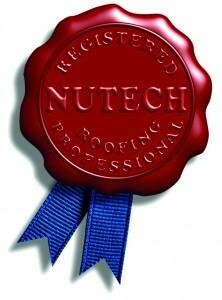 Our sealers will protect your roof and add years to its life. The Cool Roof Coating and commercial flat heat reflecting roof sealer that can be provided to you by Custom Coating Restoration will prevent sunlight and other weather elements from damaging your roof over time. Cool Roof Coating in Mission Viejo, CA has been shown to reflect up to 98 percent of infrared light, allowing your roof to last a lot longer while also keeping your home or business cooler inside. If the cooling costs for your business have skyrocketed, your roof could be to blame, as too much sunlight and heat could be penetrating through. Custom Coating Restoration can use a commercial flat heat reflecting roof sealer in Mission Viejo, CA to stop infrared light from overheating your structure’s interior and doing significant damage to the roof itself over time. Do you want your tile roof to look like new again without having to replace it? Custom Coating Restoration has sealing, cleaning, and color restoration services in Mission Viejo, CA that are specifically designed to restore the beautifully color of your roof. You won’t believe how new your roof will look when you reinstate its color. If you are interested in learning more about Cool Roof Coating or any of the other sealing, cleaning, and color restoration services in Mission Viejo, CA that Custom Coating Restoration has to offer, call us at 800-621-6722 today.